Did you miss the last book in the Forever Series? 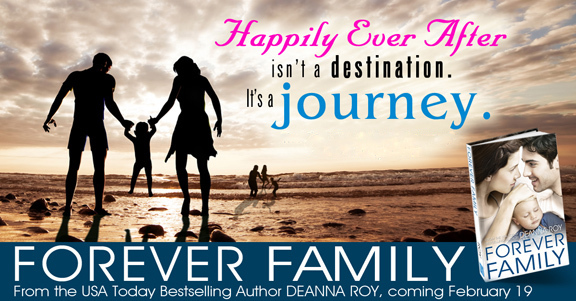 The FINAL book in the emotional USA Today bestselling Forever series. Need to start at the beginning? Click here. Most days, I’m fine. I’m married to a hunk. Seriously. He rides a motorcycle, works in a garage, then studies for college on the side. And makes my toes curl, well, you know how. But a long time ago, when we were young, something really bad happened to us. Bad enough to break us up. I thought marriage would make things right. And it’s been happy. But something’s missing. The one thing we always wanted, but lost. And my best friend just got it. I know everybody envies my life. I’m a little wild. I hang with celebrities. I got married in the back of an ambulance by a rock star. And the baby girl who arrived at the end of that lights-and-siren ride is definitely a bundle of joy. But my life isn’t as easy as it looks. With my husband about to hit big with his first album, and every two-bit floozy in the music industry hanging on him, I really need my best friends. I can’t get through this without them. There is entirely too much misery in the world to manage the sparkly pink explosion that is Jenny and her baby. I’ve got so much on my hands already with my art mentor so close to the end. And Darion expecting our wedding to actually, well…happen. I know the stories tell you that happily ever after is what comes when he pops the question and you say yes. But life is really messy. And sometimes your horse-drawn pumpkin takes off at full gallop for a cliff. That’s where I am. And that’s why I had to leave. Because before I can get to the big finish, I have something else I have to do. A bit of business I should have taken care of long ago, but I was only a teenager then. I can only hope that by the time I get it done, I haven’t lost everyone I care about. Because when you’ve spent your whole life running, you forget that what really matters is your family. FOREVER FAMILY can be read as a standalone novel, although it is best after learning the history of the girls in the other four books of the Forever series.